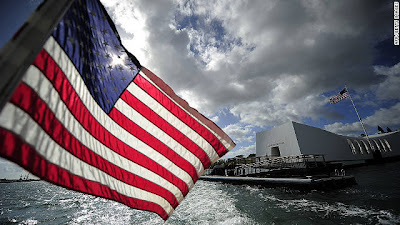 This past September when I visited Hawaii (click here for that post), I spent some time reflecting on the USS Arizona what my freedom as an American meant to me and how that freedom has been at the cost of those brave soldiers who serve in the US military. Today marks the 70th anniversary of the attack on Pearl Harbor. As you spend time today with your loved ones please take a moment for those who have given their lives for this country. Maybe if you feel so inclined send some Christmas treats for troops. Most of my military friends are not currently serving overseas so I've asked a few if they know of someone that I could send a care package to. The deadline for priority mail is December 11th so you'll have to act fast. If you don't know of anyone personally, you can send someone a package through an organization. My 5th grade teacher (this was when I lived in Germany attending elementary school on an Army base) talking about how sad soldiers are when they do not receive letters or packages during the holiday season. That left quite the impression on me as my own father was in the Army. 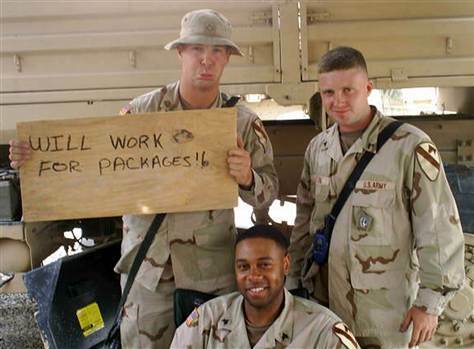 I also remember how thankful my friend was when he received a care package from me for Christmas. This tough Marine was excited about the Christmas garland and goodies that I sent him. Here are some links to help you on what to send and where. A beautiful tribute and thank you for the reminder.